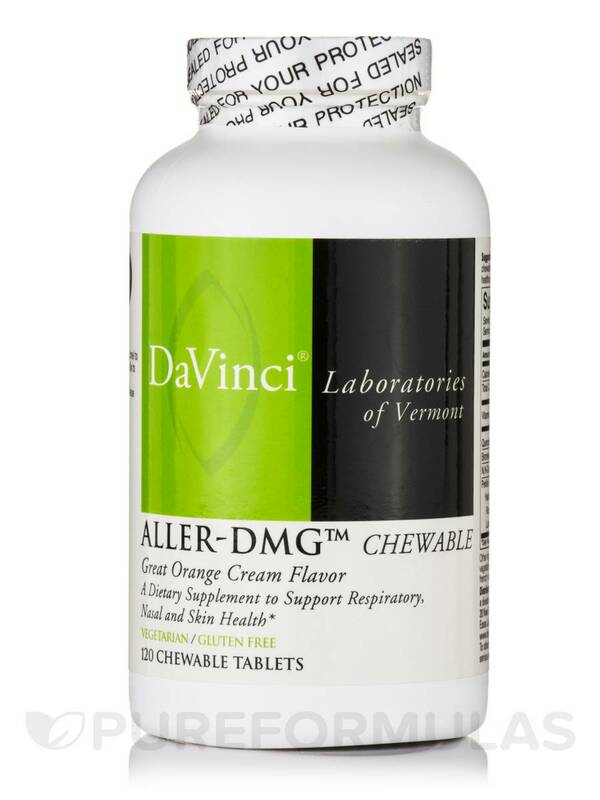 Living in the allergy capitol, it is nice to have Aller-DMG by DaVinci Labs, to relieve those symptoms. I LOVE Aller-DMG by DaVinci Labs! It tastes great and its affordable. I have asthma and C.O.P.D. and I just feel like I'm really doing something good for myself! Allergies affect many people throughout their lives. Allergic reactions happen when your immune system mistakenly identifies a harmless substance as harmful and tries to get rid of it; this in turn causes you to sneeze‚ have watery eyes‚ break out in a rash‚ or have trouble breathing. There are a number of different types of allergies that can affect you‚ such as hay fever. Hay fever is usually caused by certain trees‚ grass‚ and mold. You might also be allergic to certain foods‚ insect bites‚ dust‚ pet dander‚ or chemicals. In these situations‚ you can take an over-the-counter antihistamine that might help reduce the severity of your allergic reactions‚ or consider taking a supplement that's designed to treat allergies. Take two chewable tablets twice a day‚ unless otherwise directed by your doctor. 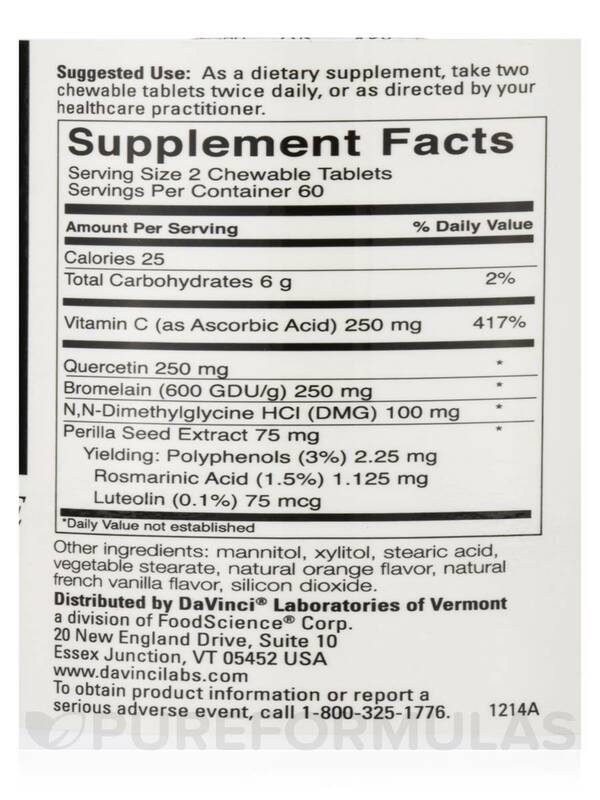 If taken at the recommended dosage‚ one bottle of DaVinci Labs’ Aller-DMG should last for about 30 days. Other ingredients: xylitol‚ mannitol‚ stearic acid‚ vegetable stearate‚ natural orange flavor‚ natural french vanilla flavor‚ silicon dioxide. 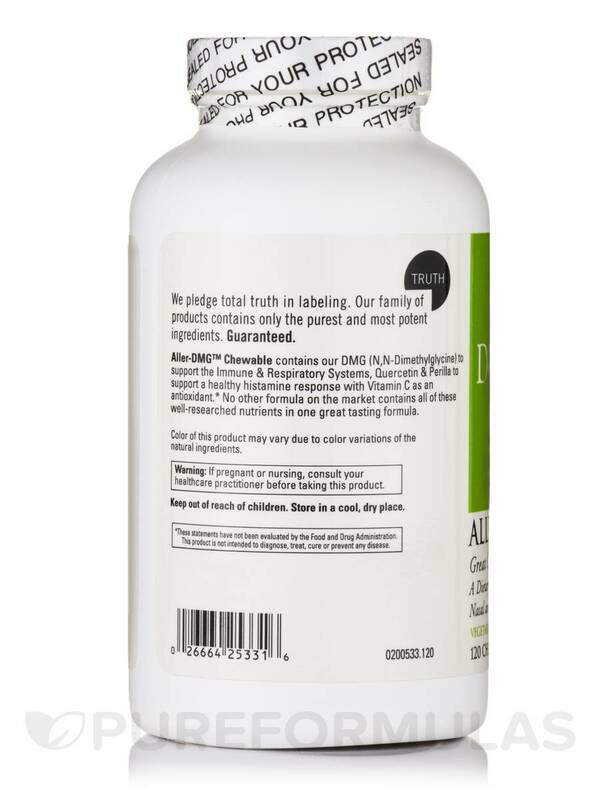 As a dietary supplement‚ take two chewable tablets twice daily‚ or as directed by your heath care practitioner. Easy to consume tastes like oranges. A high quality product. 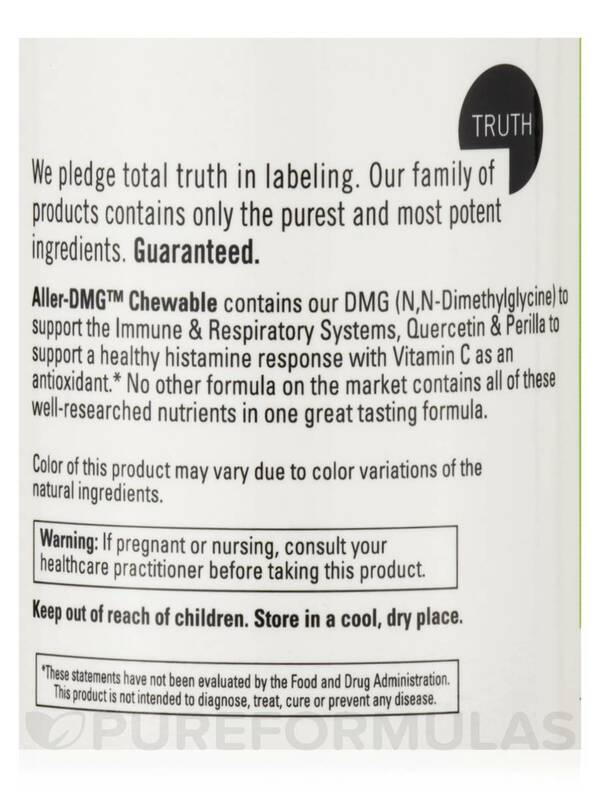 I really like that Aller-DMG Orange has the same amount of quercetin as the pure formulas capsules I have (that my child will not take). 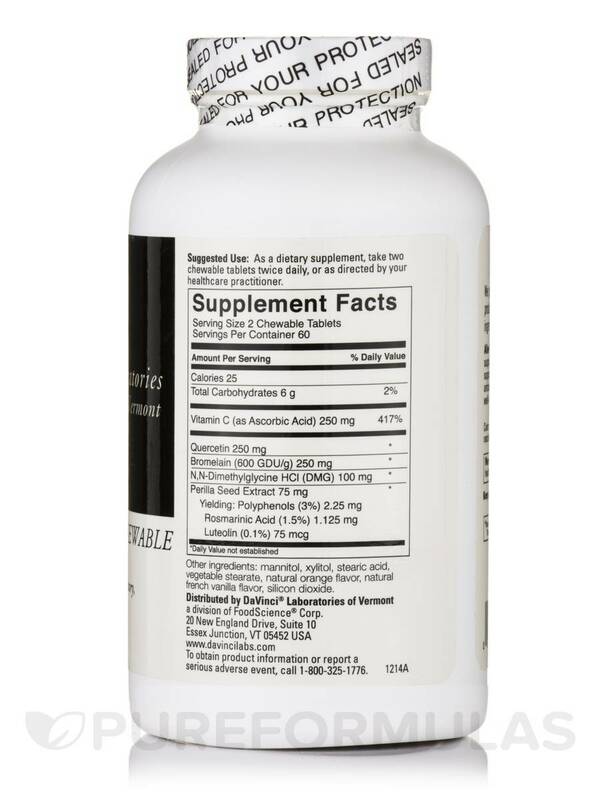 Quercetin is really strong but not in these chewables. They actually taste really good- yummy orange. My 4 year old asks for these! They are huge but good and easy to chew up. Very helpful for my sinuses joints and gut inflammation. My childrens doctor put him on quercetin a couple years ago for stomach issues- allergies and constipation. I have not been able to get him to take it without it coming back up but not anymore thanks to these chewables! SO glad I found these! Taste great! They work! Great concentration in each dose!